Well, if nothing else, it’s because it’s highly customizable with more than 50,000 free plugins in the official WordPress directory, not to mention all the premium ones. 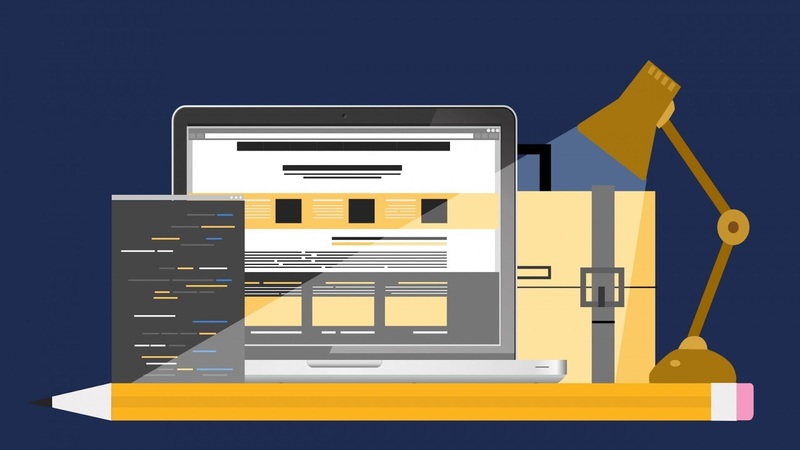 As it’s essential for a website to be both aesthetically pleasing and highly functional, these are just a few of the WordPress plugins every web designer should use. We all know that the page builder makes life a lot easier for the web designers. Even if are a newbie WordPress user, the page builder can help you to create a completely custom unique design for your site without writing a single line of code. Elementor is one such plugin that will help you to create stunning pages for your site with the drag-and-drop interface without any coding. This plugin comes in free as well as pro version with a number of great modules and design options. You can define section height and width, resize columns, you can position the content as per your requirement, you can define the gap between each section to make sure your content looks neat. Video – Add YouTube \ Vimeo to your page. Button – Controlling every aspect of the button design. Image Box – A box that includes image, headline and text. Testimonials – Customer testimonials that show social proof. Icon – Place one or more of 600+ icons available. Social Icons – Icons to your social pages like Facebook / Twitter. Image Carousel – A rotating carousel or slider of chosen images. Icon List – A bullet list with any chosen icon and text. Alert – A colored alert box to draw the attention of the visitor. Sidebar – Add any sidebar into the page. SoundCloud – Add audio bits from SoundCloud. Divider – A line that divides different elements in the page. Spacer – A space that divides the various elements. Columns – Create inner columns within the column. One of the most trusted and thus most recommended WPO frameworks is W3 Total Cache. This free WordPress plugin increases website performance, reduces loading time and ultimately improves SEO and user experience. 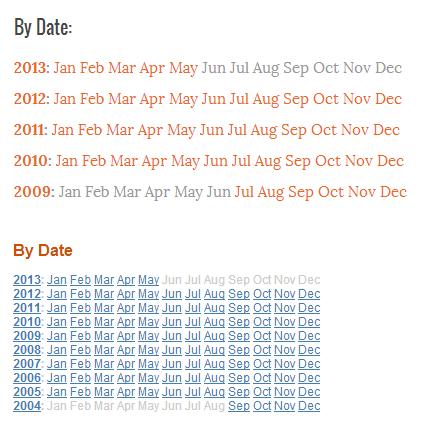 Usually, blogs display a long archive of blog content published over days and months. Without customization, the display is a long list of boring posts, which is useless because a blog publishing more than one post a day needs a better method to display all the content, without taking too much time. Monarch is one of the best social media plugins for WordPress that will help you to increase the traffic from social networking sites. As you design a new website, the social sharing option is one of the most important and must have features. Monarch offers you a variety of different placement options so that you can maximize the conversion and number of social sharing. You have the following options as far as the placement is concerned. When we talk about the design of the social sharing buttons, you have all the modern designs to choose from. You will have full control over the plugin and the powerful control panel will make things a lot easier for you. With the help of drag and drop page builder, Optin Monster helps the user to build a landing page with various user intents like signing up for free courses, email newsletters, subscriptions and more. It offers Multiple Form Types, A/B split testing, page level targeting, built in analytics and so on. The plugin integrates with almost all email marketing services like MailChimp and Emma. WPForms allow you to create beautiful contact forms, subscription forms, payment forms, and other type of forms for your site in minutes, not hours. Online Form Builder – Our powerful drag & drop contact form builder allows you to easily create WordPress contact forms and other online forms in just a few minutes without writing any code. 100% Responsive – Mobile Friendly contact forms. Spam Protection – WPForms utilizes smart CAPTCHA and Honeypot method to stop spam contact form submissions. Instant Form Notification – Quickly respond to incoming inquiries with our instant contact form notification system. File Uploads – Collect files and media through your contact forms with File Uploads. MailChimp Forms – Create MailChimp newsletter signup forms in WordPress and connect with your contact form to grow your email list. AWeber Forms – Create AWeber newsletter signup forms in WordPress and connect with your contact form to grow your email list. Campaign Monitor Forms – Create Campaign Monitor newsletter signup forms in WordPress and connect with your contact form to grow your email list. GetResponse Forms – Create GetResponse newsletter signup forms in WordPress and connect with your contact form to grow your email list. Stripe Forms – Easily collect payments, donations, and online orders with our Stripe addon. User Registration Forms – Create custom WordPress user registration form. Smart Conditional Logic – Show or hide fields and contact form sections based on user behavior. Geolocation – Display location information about your users. Custom Captchas – Create custom captchas for your contact form. As the name suggests, Login Lockdown limits the number of login attempts from a given IP range within a period. More precisely, Login LockDown records the IP address and timestamp of every failed login attempt. If more than a certain number of attempts are detected within a short period of time from the same IP range, then the login function is disabled for all requests from that range. This helps to prevent brute force password discovery. Currently the plugin defaults to a 1 hour lock out of an IP block after 3 failed login attempts within 5 minutes. This can be modified via the Options panel. Administrators can release locked out IP ranges manually from the panel. If you are a web designer, there is one more thing to worry about when creating a website – security. But, worry not, Awontis is here! We will keep you safe if you contact us today! I also want to share one more free WP plugin related to search engine optimization which is known as Trash Duplicate And 301 Redirect. This is a wonderful Plugin that can find and delete duplicate contents in your website. It also permanently redirect removed content URL to the main URL to divert traffic to one URL and be safe from being penalized by Google for duplicate content.